The City of Kingston and the Ancient Order of Hibernians Division 1, Ulster County are proud to announce the seventeeth annual Hooley on the Hudson™ Kingston Irish Festival, to be held on Sunday, September 2, 2018. The Festival will take place at the T R Gallo Memorial Park on the Rondout Creek from 11:30 AM until 9:00 PM. Four main venues will feature live music, step dancing, storytelling, and traditional music for all ages. The Ancient Order of Hibernians, Fr. Con Colbert Woulfe Division 1, Ulster County, and the City of Kingston invite you to be a member of its "Parade of Dignitaries" at its annual Hooley on the Hudson XVII™ to be held on Sunday, September 2, 2018 (the day before Labor Day) from 11:30 AM until 9:00PM at the beautiful waterfront at the T.R. Gallo Memorial Park on the Rondout Creek in historic Kingston, New York. Our "Parade of Dignitaries" is one of the highlights of our Irish Festival and allows our marchers to meet with some of the 20,000 plus attendees from throughout the Northeast who have made "The Hooley" a place to gather and celebrate Irish culture with three stages of Irish music, and a storytelling tent (for the little ones), and numerous food and craft vendors. Focused on family, this event is free to all, Irish or not. Indeed, many families and school groups have made "The Hooley" their meeting venue each year. 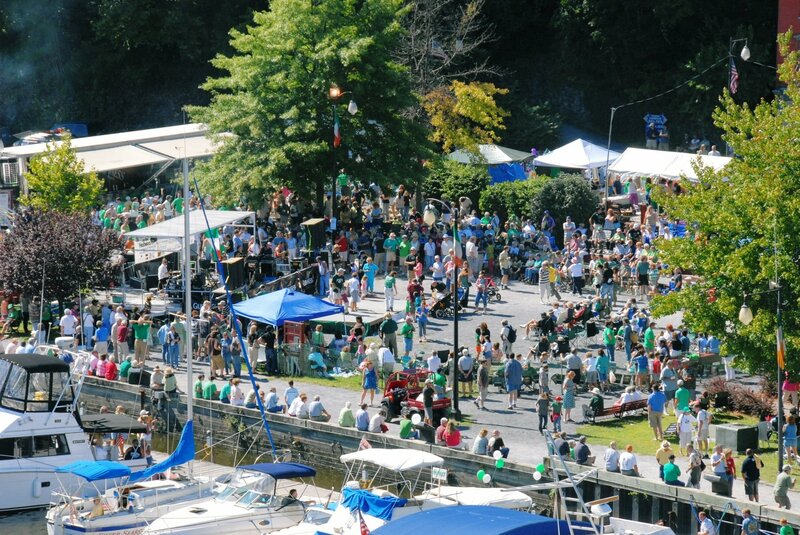 The Hooley on the Hudson XVII™ promises to surpass last year's record- breaking attendance. Our focus on family entertainment is crucial to our event and our free admission allows families the opportunity to enjoy our proud Irish heritage without financial burden. Why they love the Hooley! Take the New York State Thruway to Exit 19 (Kingston). You will be exiting the toll booth onto the Kingston Roundabout. Take the second exit from the Roundabout for Washington Avenue. Proceed on Washington Avenue. There will be signs directing you to parking venues. 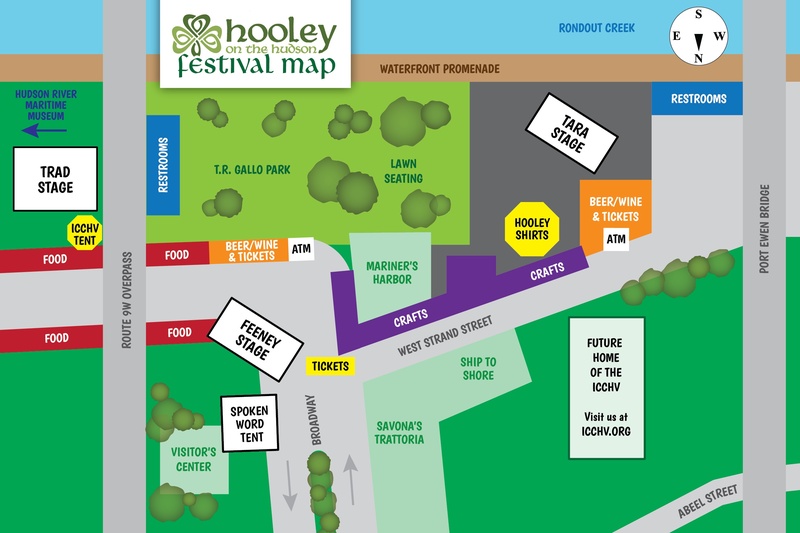 The City and the AOH have arranged several parking venues for the "Hooley™” that are clearly marked. Free Shuttle Buses will be provided to the Hooley™ site at the Rondout in Kingston. 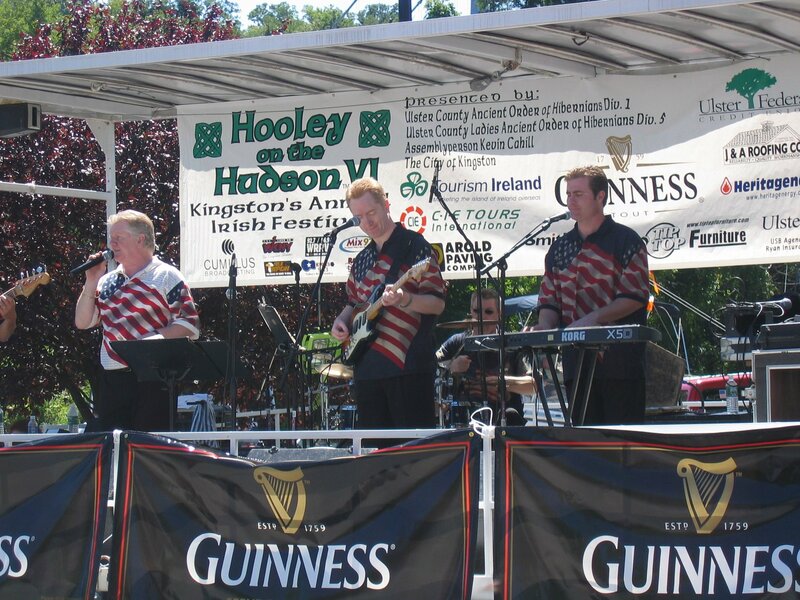 Additional information on the Hooley on the Hudson™ Irish Festival is available by visiting the Web site at www.ulsteraoh.com. You can email us at events@ulsteraoh.com or by calling 845-338-6622 Monday through Friday 10 AM- 4 PM..